We haven’t had any Japanese food in, like, totes a long time, have we? I cook it all the time, and I don’t tell you about it. This is a new one, though! I made this last week when we celebrated my dad’s birthday – he hems and haws every year about what to have, and then invariably requests homemade sushi, which suits everyone just fine. This year, I added this salad, which was DANG good. 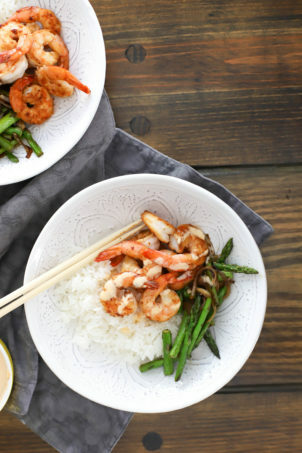 It was easy too, and you’ll want to add it to your roster of Asian Things To Try (hehe) asap. Yum! 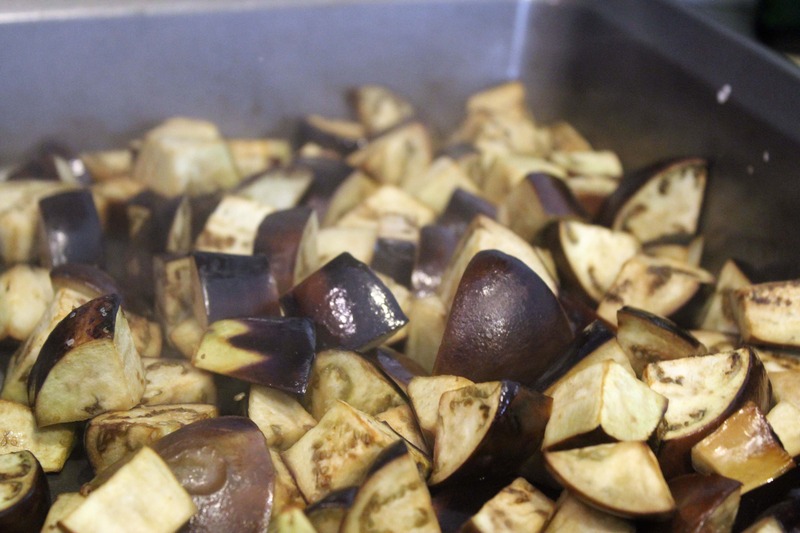 So, we roast the eggplant first. Preheat your oven to 425F. 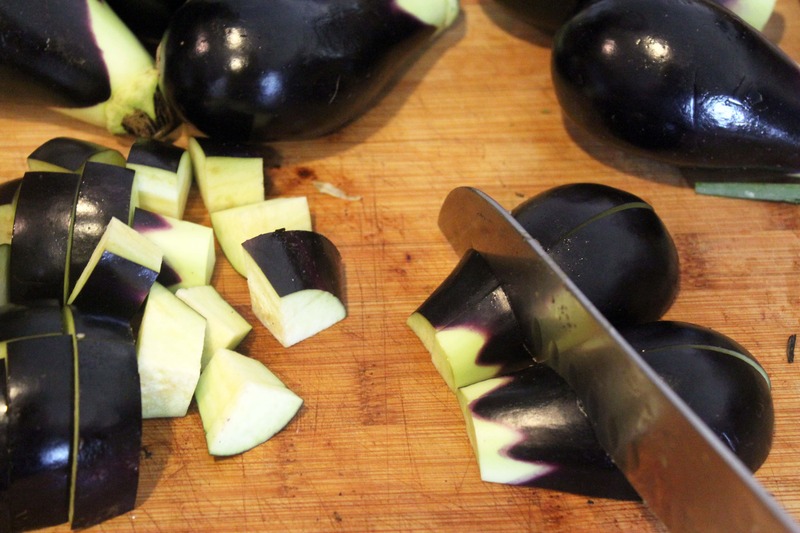 Then, cut off the tops of the eggplant, and then cut the eggplant into 1 inch cubes. 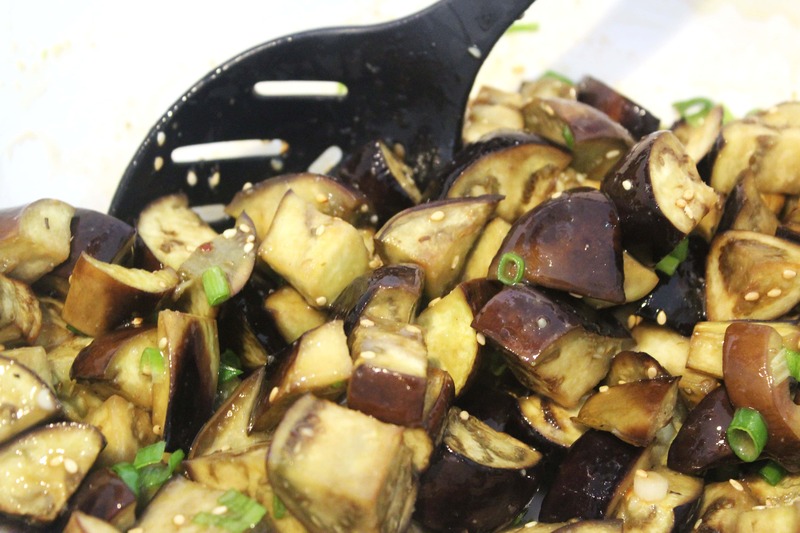 Place the eggplant on a sheet pan or roasting dish and spray it all over with cooking spray. Then, shake the eggplant and spray it again! We want it really nicely coated. 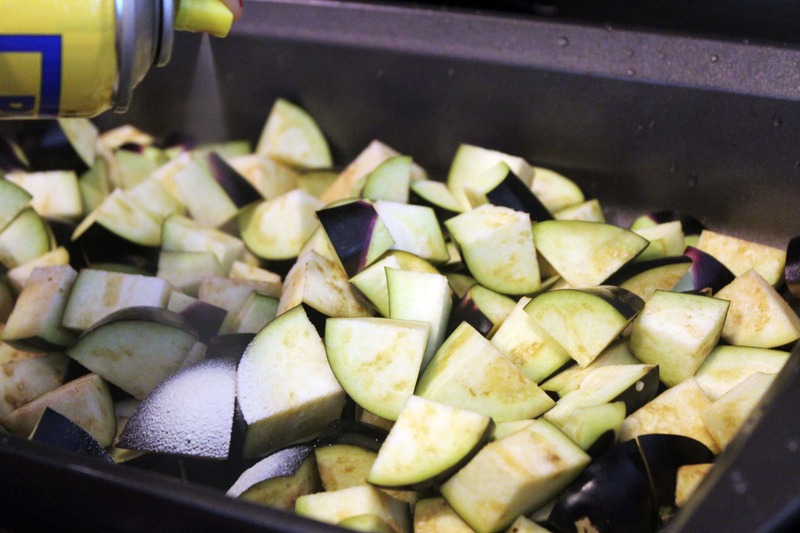 Note: the cooking spray is nice for roasting because it allows the eggplant to dry out a bit, which is nice since it has so much water content. 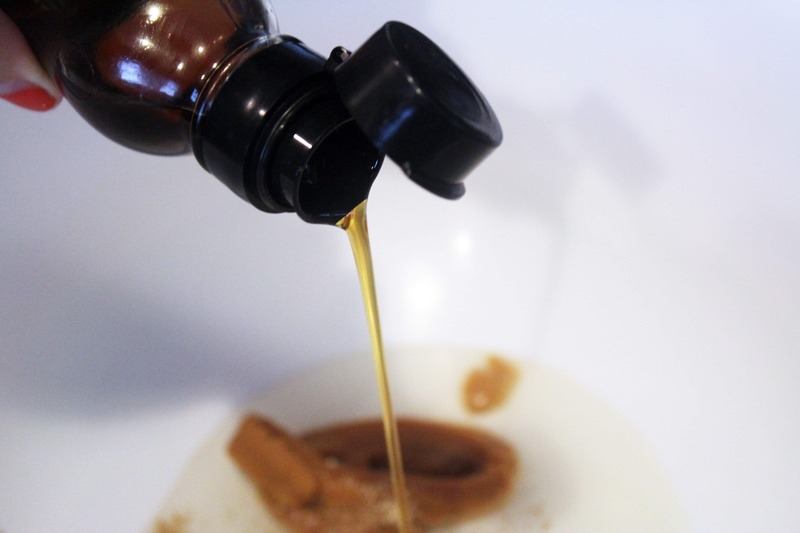 If you don’t have any or don’t like using it just drizzle on some oil and calm down. 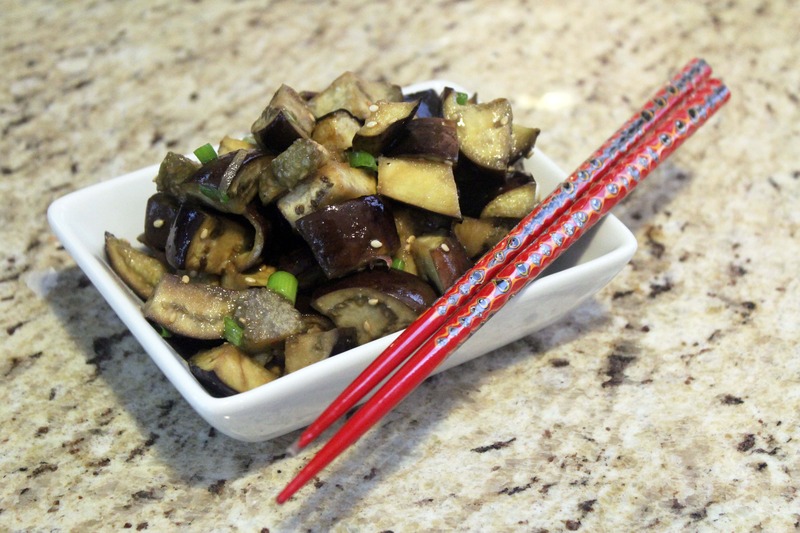 Then, sprinkle the eggplant with salt – just a little bit since the miso has salt in it too. Roast the eggplant for 10-15 minutes until it just starts to wilt and some of the skin is brown. 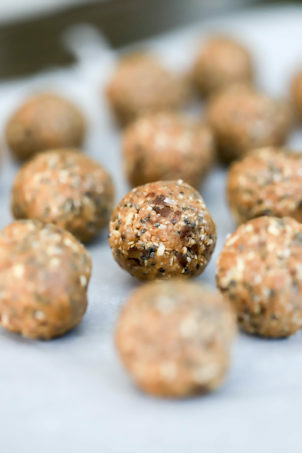 Shake it around after 8 minutes to give all sides a chance to roast! 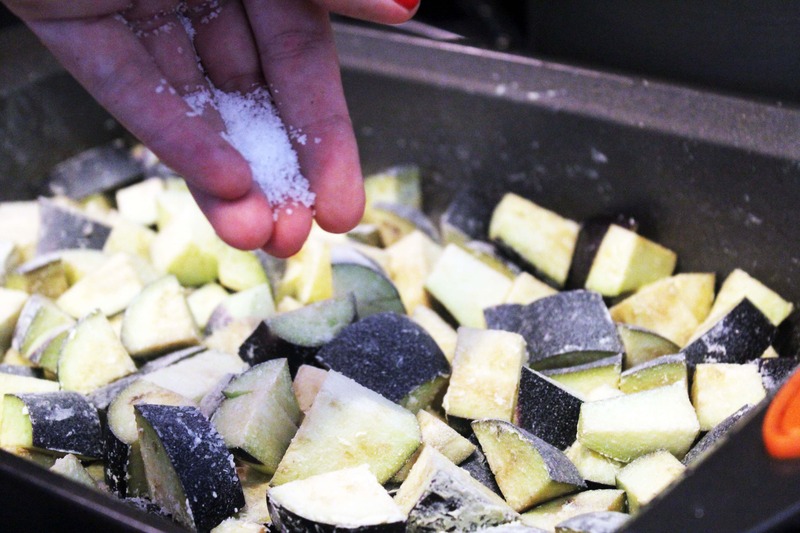 The eggplant won’t be totally cooked through and mushy like when we roast other veggies – that’s a good thing! 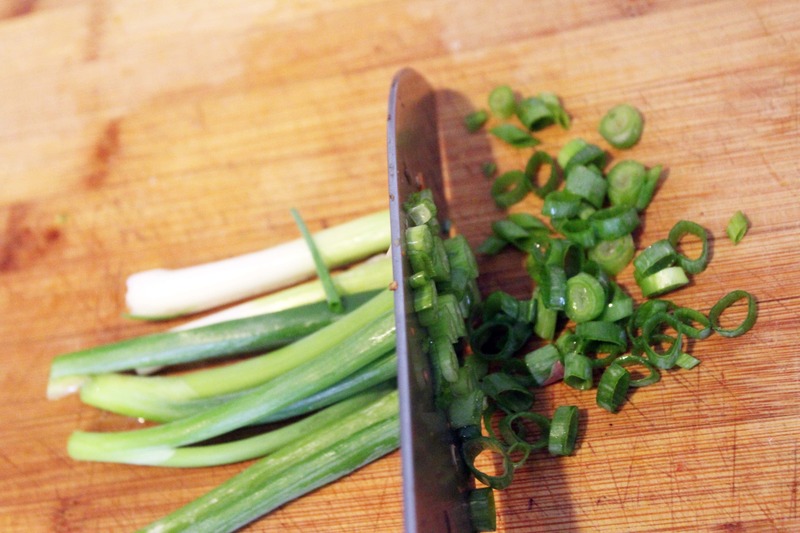 While the eggplant is roasting, slice the scallions and make the dressing. 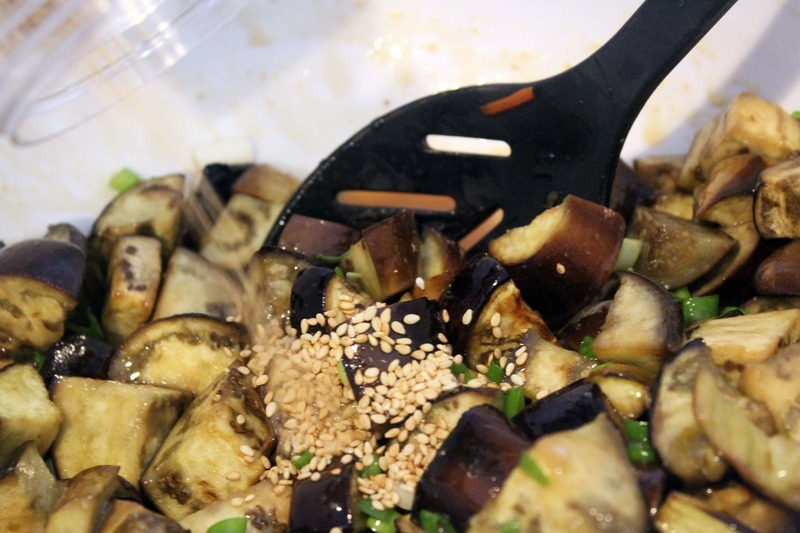 To a bowl, add the miso paste, vinegar, mirin, dashi or fish flavoring…. 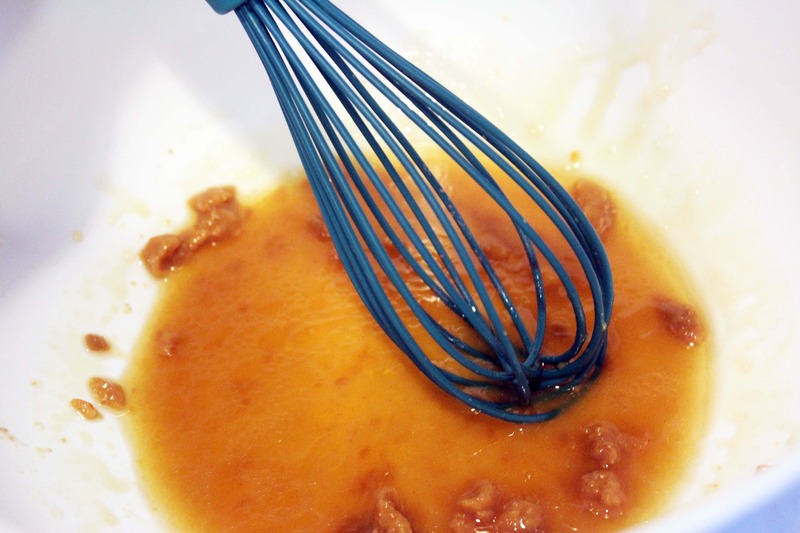 Then, whisk everything together! 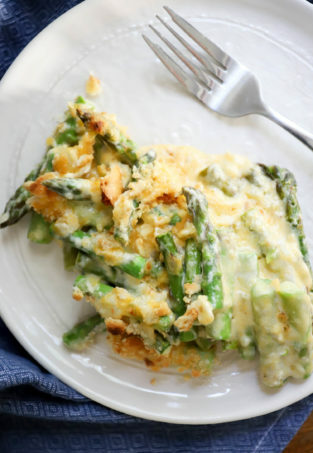 Now, taste this and add more of whatever you’d like – this is such a great dressing! 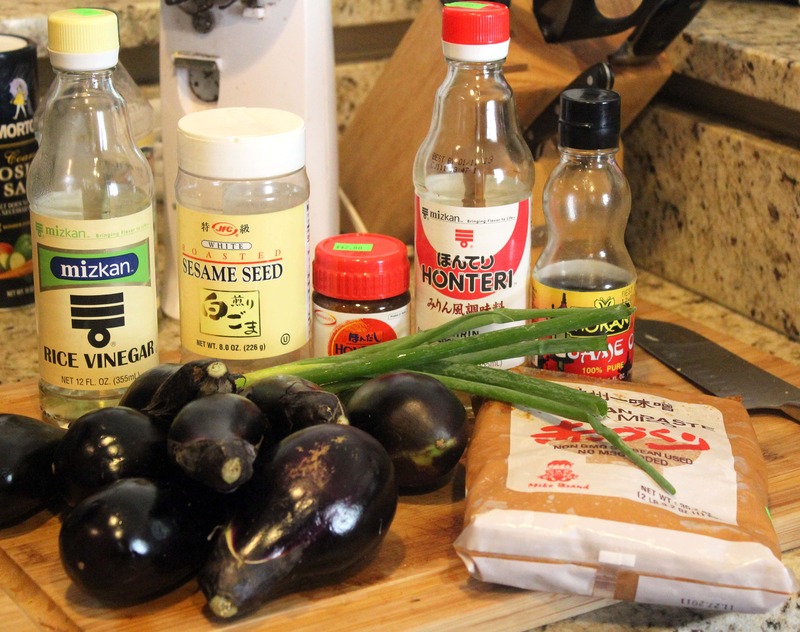 Now, you could make the dressing and roast the eggplant ahead of time – up to 3 days in advance. 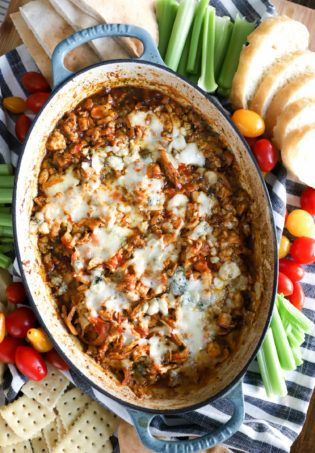 Just toss everything together when you’re about ready to serve! 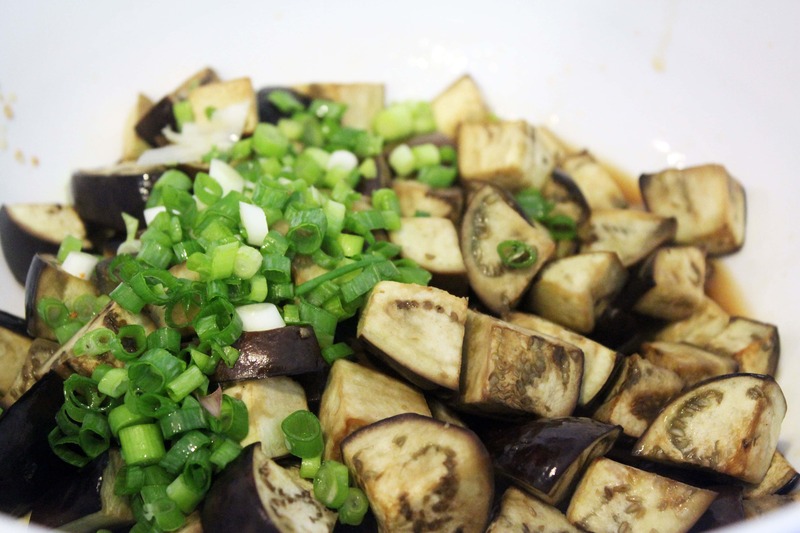 When the eggplant is roasted, toss it into the dressing with the scallions. 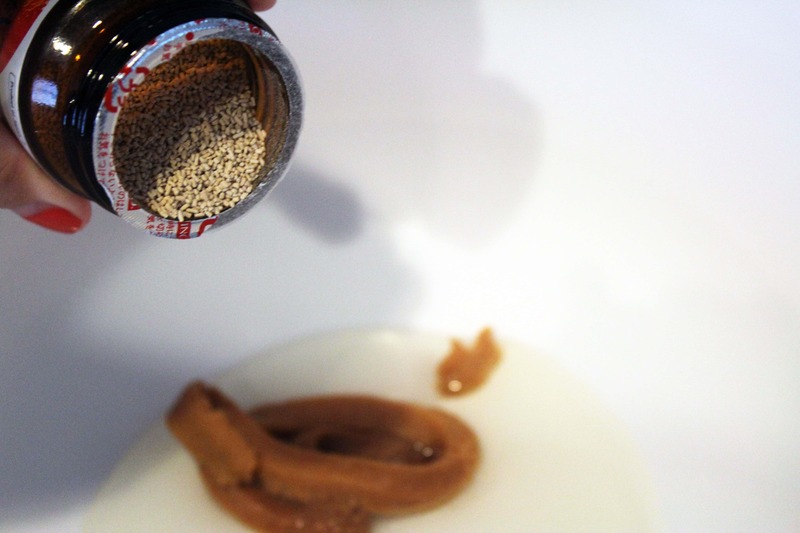 Add the sesame seeds, then stir everything together. Taste, and add a dash of soy or salt if you’d like. I find that this salad gets better the longer it sits. It’s great a bit warm if you eat it right away, at room temperature, or chilled. You CAN’T miss with this one! 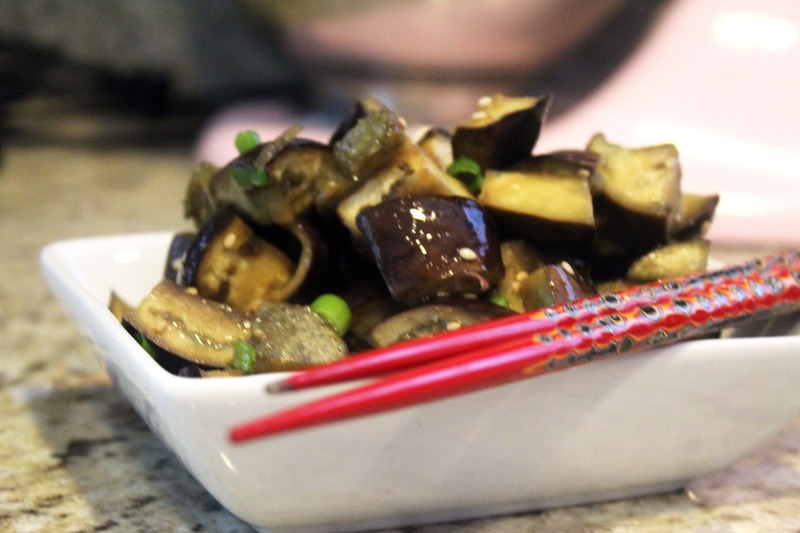 Eggplant is so hardy too, so you could easily serve this over rice and call it dinner. 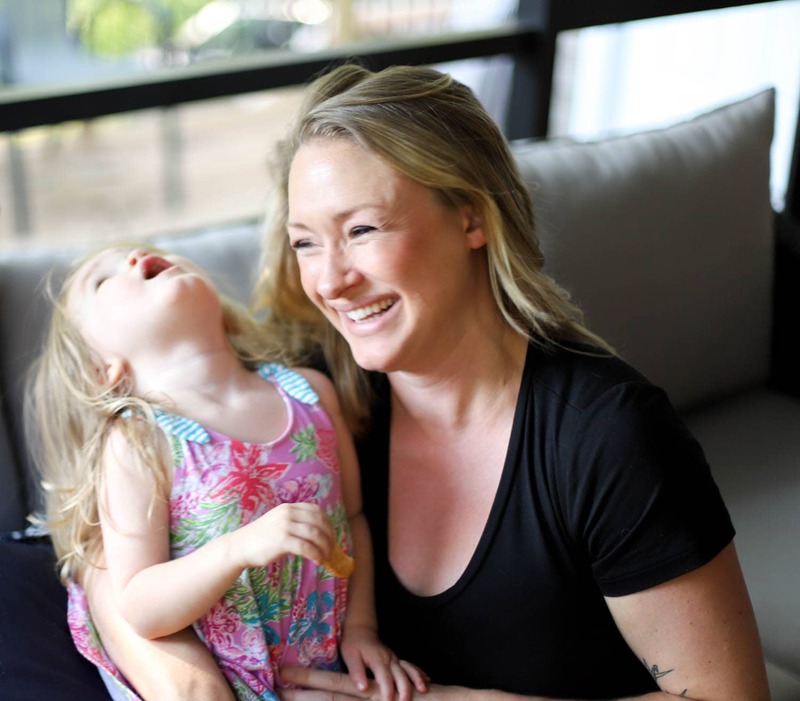 Previous Post: « GIVEAWAY WINNER ANNOUNCED!